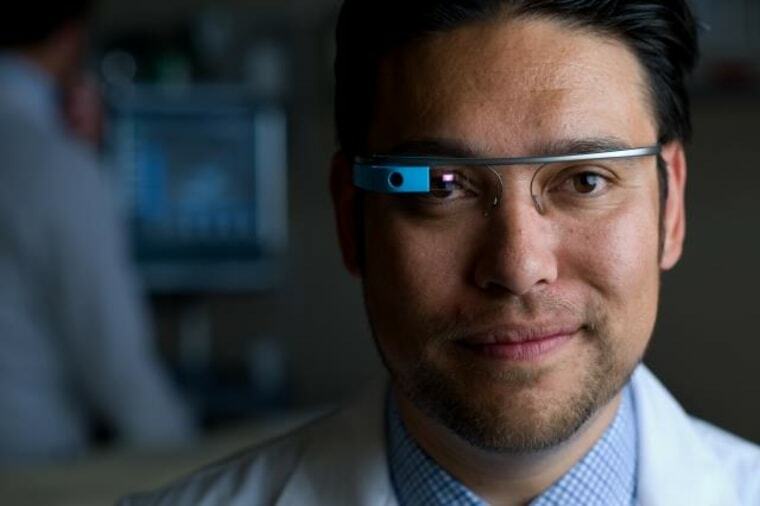 Future doctors studying medicine at the University of California, Irvine will be getting a high-tech immersion into their field with the help of Google Glass. From the anatomy lab to the operating room to the lecture hall, the head-mounted wearable computers are being integrated into the four-year curriculum at the UC Irvine School of Medicine. Third- and fourth-year students will share access to 10 pairs of the head-mounted wearable computers when the academic year starts this month. An additional 20 to 30 pairs of will be available in August, when first- and second-year students begin course work. The medical school has 416 students now. “I believe digital technology will let us bring a more impactful and relevant clinical learning experience to our students,” Dr. Ralph V. Clayman, dean of medicine, said in a university press release. Clayman said it's a far cry from when he was a med student learning surgical techniques in the 1970s. Back then, students stood on a step stool and looked over the surgeon’s shoulder. Now, students don't even have to be in the same room to see what a Glass-wearing surgeon is doing. While other medical schools have been testing Glass in medical practice and education, UC Irvine School of Medicine says it is the first institution to fully incorporate Glass into its four-year curriculum. Dr. Warren Wiechmann, assistant clinical professor of emergency medicine and associate dean of instructional technologies, said Glass can enable students to see exactly what a surgeon sees in the operating room, instead of looking over a shoulder. "We also have plans to place Glass on standardized patients (patient actors) to give our students the opportunity to see themselves 'through the patient’s eyes,'" Wiechmann told NBC News via email. "While our students are learning how to interact as a physician and learn the art of patient engagement and interaction, Glass can record the encounter and allow them to see how well they appear to empathize, listen, and build that patient relationship." The cost of the Glass purchases — the devices sell for $1,500 each — is being covered by a donor who wishes to remain anonymous, the university said.